Win 400 SEK to use on my paintings (will get you one small painting or help towards a larger one). Postage not included. 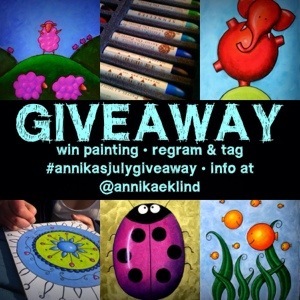 Visit @annikaeklind on Instagram to find giveaway-image to regram & tag #annikasjulygiveaway. Winner will be announced August 3rd. To see all paintings, click here. To see paintings that are for sale, click here.